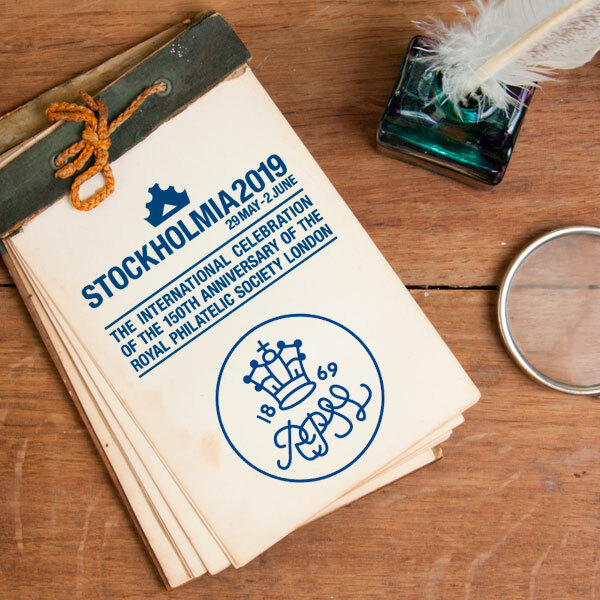 The Global Philatelic Network has been appointed as the Philatelic Partner for the International Celebration of the 150th Anniversary of The Royal Philatelic Society London – STOCKHOLMIA 2019, and as such is the official auctioneer for the STOCKHOLMIA 2019 Rarities Auction. With our international connections, philatelic knowledge and many years of auction experience we believe that we can be of good value for this event celebration. The Society will benefit extraordinarily from the auction. We will donate 5% of the total hammer price to the overall benefit of the exhibition and, in consequence The Royal Philatelic Society London to make the marvellous stamp exhibition possible. We invite Fellows, Members and Philatelists worldwide to consign material to this very special auction. In addition you will be a strong and important supporter of the Society and its anniversary. We are looking for worldwide rare stamps and covers, postal history and specialised collections for this Rarity Auction. Consignments will be accepted for single lots starting from EUR 1,000 (£ 900) and collections starting from EUR 10,000 (£ 9,000). It is common that you give a present when you are invited to a birthday party, right? The Global Philatelic Network already has this present for The Royal Philatelic Society London: For the Rarity Auction we waive our standard commission so that members and the Society can gain maximum profit. The commission below is a one-time offer for the STOCKHOLMIA Rarity Auction only. It is not comparable to the commission usually charged by the companies in the Global Philatelic Network. *1 Including insurance, lot fee, etc. *2 Plus then valid VAT (on commission only). If you wish to consign to the STOCKHOLMIA 2019 Rarity Auction, contact Auction Houses Heinrich Köhler, Corinphila, H.R. Harmer or John Bull of the Global Philatelic Network. The most important collectors (potential buyers) from all over the world will meet at STOCKHOLMIA 2019. They can view the lots in Stockholm and bid in the auction room personally. The auction room at Stockholm Waterfront Congress Centre will seat 1,000+ bidders. Have you ever dreamt of presenting your collection in a book? A unique and personal present to your family and friends! Consign to the STOCKHOLMIA 2019 Rarity Auction now and we will present your collection in a book: hardcover, full colour, A4 format. This offer is limited to consigners with a total hammer price exceeding € 50,000 / £ 45,000.